Plans for an exclusive hotel at a run down former warehouse in Digbeth have been almost doubled in size. New proposals have been submitted to Birmingham City Council for the scheme to build a Serena Hotel, including a leisure centre, spa and banqueting suite. Permission had already been granted for a 51-bedroom hotel but architects now plan to create 91 bedrooms by expanding the 1930s building. The scheme, part of a wider regeneration of the city’s Eastside, represents a rebirth for Ladbrooke House, which is locally listed and has been most recently used by Birmingham City Council. The new proposal seeks to add a T-shaped extension, with three storeys and a basement, directly to the rear of the main property. The proposals state: “The proposed development will bring a breath of fresh air to this part of the city, which is in need of investment, by providing a modern 91 bedroom hotel accommodation. Demand for hotels in Eastside are expected to grow ahead of the development of the new HS2 Station at Curzon Street. That part of the city is enjoying a renaissance after the recent application to build the city’s tallest office building at the Beorma Quarter site opposite Selfridges. 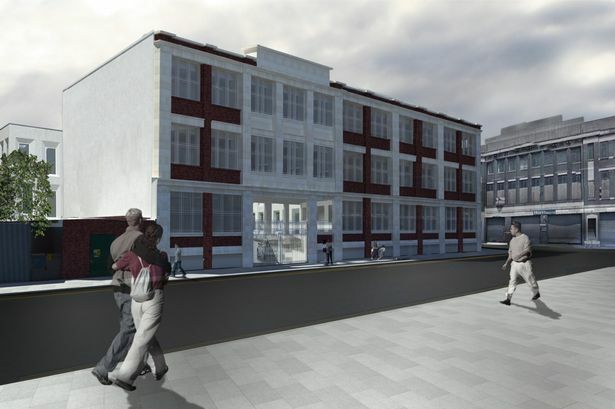 The Post first reported plans for the hotel in June 2014 and they were given the green light later that summer. The proposals include a swimming pool, gym, spa and a car park. The present scheme has 20 car parking spaces and 12 cycle parking spaces. There would also be a basement banqueting suite totalling 4,445 sq ft able to accommodate up to 350 people. Alessio Venturi, the architect behind the scheme, told the Post earlier this year: “At the moment, the building hasn’t been cared for, for a long time. First of all, we have to improve the quality of the existing building, which is locally listed. The new work focuses on the corner of Oxford Street and Bordesley Street and further along Oxford Street.